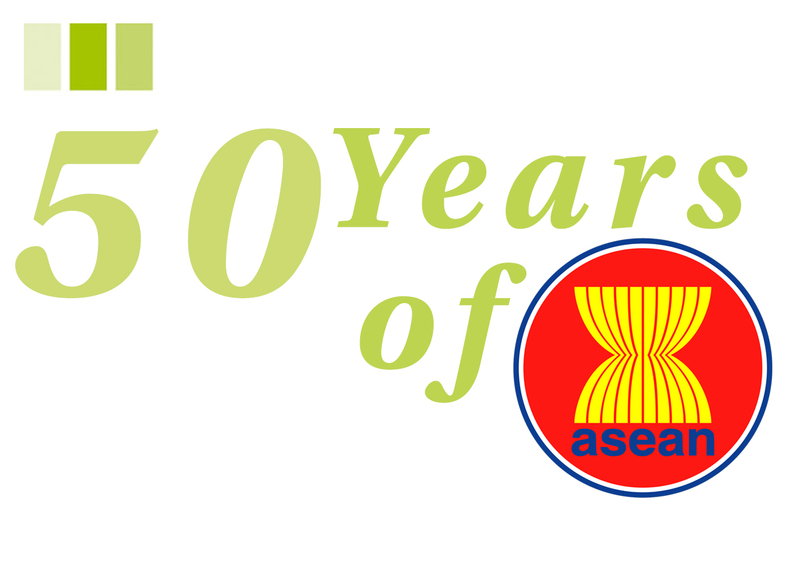 As we celebrate the fiftieth anniversary of ASEAN, and weigh its achievements – of which I believe there are many – the question arises as to whether a sense of common ASEAN identity will emerge among the citizens of the respective nation-states of Southeast Asia. We need to remember that ASEAN was initially put together by the governments of the region as a means to ensure that the countries of ASEAN would not be dragged into the conflict of the Cold War, and that ASEAN was never intended to become a supra-state entity that compromises the sovereignty of its member-states in any way; and that when ASEAN was first conceived in 1967 there was no intention to create anything that resembled a common market with a common currency, or a common citizenship for all the people who live in the region. Being a modest project from the outset, its achievements need to be measured accordingly. Yet half a century on, we can see positive signs of a growing pan-ASEAN integration taking place. Increasingly, the member states of ASEAN see the need to increase trade with each other, and other advances in communications and logistics have made mobility for ASEAN citizens a reality. Intra-ASEAN tourism, travel and migration has risen, and we now see the phenomenon of the “ASEAN backpacker” emerging, as more and more young ASEAN citizens visit each other’s countries and grow more accommodating of cultural differences. In some instances, we see tangible results in terms of bridge-building, such as the Malaysian-Singaporean high-speed rail link project. This project will conflate time and space between the two countries, lowering, as opposed to raising border distinctions between them. The fact that such a project is taking place now, at a time when hyper-nationalism seems to be on the rise in other parts of the world, and when nations are closing, rather than opening their borders, is hugely significant. This points to the fact that the ASEAN region remains one of the most stable in the world, where states have played a crucial role in bringing communities together. Positive as these developments may be, they are not entirely novel. Historians of ancient Southeast Asian history will point out that the present-day borders of Southeast Asia are obviously relatively new, and were more or less fixed by the 19th century as a result of Asia’s contact with colonising Western powers. Yet if we were to turn the clock back by about 30,000 years, we would have a completely different picture of what the region once looked like. For a start, 30,000 years ago, sea levels were much lower than they are today by around 150 meters. This basically meant that much of what we now call the territory of the South China Sea was in fact dry land, and the region of maritime Southeast Asia was in fact an extended land mass where rudimentary agrarian communities lived. This was the era of the great movement and settlement of the Austronesian peoples, who are the distant ancestors of us Southeast Asians today; and the movement and migration of the Austronesians extended all the way from present-day Taiwan to all of maritime Southeast Asia, all the way to present-day Nias, Nusa Tenggara, Timor and Papua. It is here, in our common history that predates the earliest recorded polities of the region, that we see the human connections that bind us. The Austronesians were not a singular ethnic group with a common culture per se, but rather a community that shared a common language-system (Austronesian), and linguistic historians will point out that many of the languages from the most distant parts of Southeast Asia still retain their Austronesian roots until now. It was only much later, as sea levels began to rise, that the South China Sea emerged, and the Austronesians were dispersed to the highlands which today make up the land masses of the component societies of Southeast Asia. Though these early communities later evolved to become polities, then nation-states, the legacy of movement, settlement and cross-cultural sharing across Southeast Asia has remained a daily reality at the ground level up until the present day. To what extent do the present day member states of ASEAN take into account these historical factors and daily realities on the ground? A quick look at the history textbooks that are used in the countries of the region will give us an idea of the extent to which our historical inter-connectedness has not been studied seriously. Few official versions of history mention the fact that the communities and nations of Southeast Asia share commonalities in terms of language, culture, beliefs and values. Almost all of the history textbooks in the region begin with the nation-state as the primary actor in history, and in doing so, neglect the centuries of fluid movement and inter-cultural exchange that were once the norms by which Southeast Asians lived. To compound matters further, it can be noted that all of the states of Southeast Asia today take their political borders as a given political reality, but fail to note that these borders were themselves introduced by colonial powers that emanated from Europe, and were imposed on Southeast Asians by force during the colonial era. The treaties that were signed by the Western colonial powers, such as the Anglo-Dutch Treaty, effectively imposed boundaries and hindrances upon Southeast Asians who had previously travelled freely in their own region, and did not necessarily see themselves as distinct nations that were exclusive and different from others. The impact of colonialism on Southeast Asia was disruptive in the sense that it brought to an end a polycentred fluid and mobile world where cultural exchange and cultural borrowing was normal and commonplace, and instead laid the framework for exclusive forms of national-identity that were, and remain, oppositional in nature. 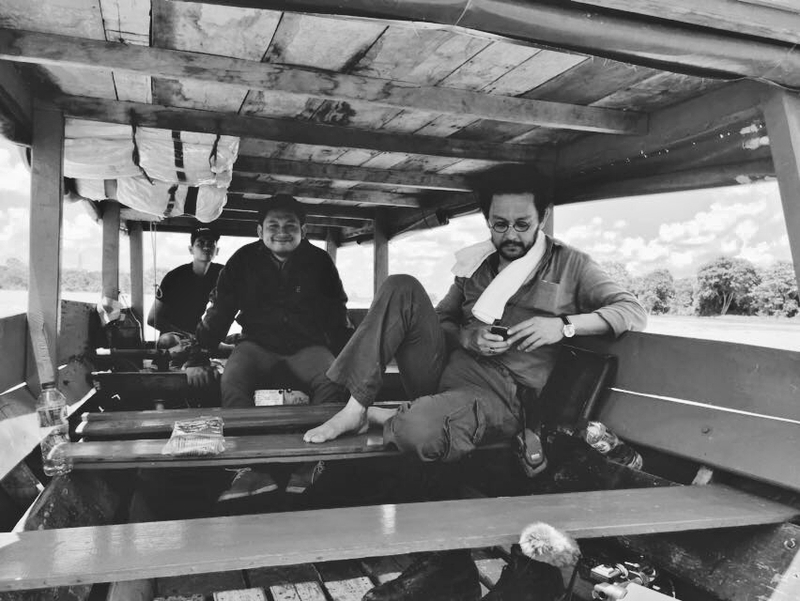 Analysts often speak and write about the increased mobility that we see across Southeast Asia today, though much of what has been written thus far focuses on modes of travel and communication that are conventional. Up until the 19th century, Southeast Asia’s port cities were truly cosmopolitan hubs for commerce, migration and movement, and many of these port cities were also centres for the dissemination of news and political thought. It is not a coincidence that cities such as Penang, Medan, Batavia (Jakarta), Singapore, Manila, Surabaya, Saigon (Ho Chi Minh City), etc. were places where communities came together and also were centres for vernacular publishing. Today, however, we live in an age of airline travel, and the major conduits and vectors for airline transport are the capital cities and cities with airports. This has created new pathways and networks of mobility, and has shifted our focus from sea to land. It is also not a coincidence that most of the major cities with international airports also happen to be the centres of political and economic power for many ASEAN countries. This has led some observers to the conclusion that the capitals and megacities of Southeast Asia are the real centres of cosmopolitanism and pluralism today, while the countryside is seen and cast as the rural interior that is more static, slower in development and more homogeneous in its social composition. A clear divide between the “cosmopolitan centre” and the “homogeneous periphery” has been introduced, though I would argue that such a divide is basically a construct, and that it is actually false. That the borders of Southeast Asia are indeed porous, and that despite all attempts to close and police these borders, cross-border movement in many parts of Southeast Asia is a casual, daily reality. Though border-lines may exist on maps, people in real-life situations do live and think according to maps as they have ‘mental maps’ of their own. Secondly, the people who inhabit these border zones often have more affinity with their political neighbours than they do with their fellow citizens in other parts of the country. This is simply because the person or persons who live on the other side of that border may well be your friend, commercial partner, relative or even spouse. Such links are familial, organic and thus real. Thirdly, border-zone communities often do not have nationalist leanings that are exclusive and/or hostile to the ‘other’. Narrowly defined nationalist discourses have less meaning and currency among people who live in such border zones for the simple reason that the so-called ‘foreign other’ is literally next door, standing in front of them, and happen to be the people they trade with, interact with and are married to. Fourthly – and perhaps most importantly – these ground-level experiences are grounded on ground-level realities of trade, settlement, migration and marriages. And because they are grounded on socio-economic realities they also have meaning for the people whose lives are shaped by those realities. A bottom-up, organic approach to a study of ASEAN should look at these sub-regional border zone domains as human habitus in their own right, and take as its starting point the meaning of “home” and “the local” to these communities. Official histories may have some difficulty in dealing with such local, sub-regional conceptions of homeland and belongings, for they may appear to contradict the official state-centric discourse of governance or official national histories which tend to be linear and totalising. What this means is that we could and perhaps should be studying Southeast Asia not as a pre-defined geographical bloc or area, and not as a region defined solely by ASEAN, but rather as a patchwork of networks, life-worlds, trading systems and pathways of human contact. Many scholars have already shifted the focus of their research to such border zones, at a time when Area Studies as a discipline is also undergoing serious internal critique and assessment. Many scholars such as myself now feel that the study of Southeast Asia cannot and should not be confined solely to the study of political states and the workings of power at the centre, but also must look at the real-life ground level realities in the periphery zones where all kinds of interesting human relations and interactions are taking place. Once outside the central zone of the political centres of ASEAN, we can see that the ways local people imagine their own geography, their sense of sub-regional belonging, their understanding of their neighbouring communities, etc. are all very different from the official narratives that emanate from the centres of power. This does not negate the importance of the capital as the centre of power, but it does render our understanding of ASEAN as more complex. Further, it shows that there is not really a singular ASEAN to speak of, but rather, many local and grounded understandings of ASEAN that are shared between different communities. As ASEAN looks to the future and plans its development ahead, it needs to be cognisant of these realities on the ground, and aware of the fact that on an ordinary, mundane level, citizens of ASEAN do have multiple, and sometimes overlapping understandings of what and who they are. It is indeed the case that ASEAN citizens are travelling more and more across the region, and in time, a sense of common belonging (though not citizenship) may emerge as a result of that. However, this is not a sense of belonging that oversimplifies and homogenises all ASEAN citizens into one solid mass, but rather as a patchwork of communities that are closely bound by shared history, geographical proximity, and shared interests. For the sake of ASEAN’s future cohesion in the future, as the region enters a period of history marked by uncertainty and great insecurity, these ground-level social bonds that have developed along the border zones of ASEAN need to be appreciated and understood, for they may well provide the psycho-social sinews that will keep Southeast Asia together in an era of global crisis and division.